It’s a 12:15 kick off today as Derby meet Forest in what is now not very romantically being called the A52 derby. Ugh. It’s live on Sky, hence the kick off time and what a game. 3-0 up by half time, Derby in the end win 5-0. I ought to be out on the razz after that but I have a sportive tomorrow. 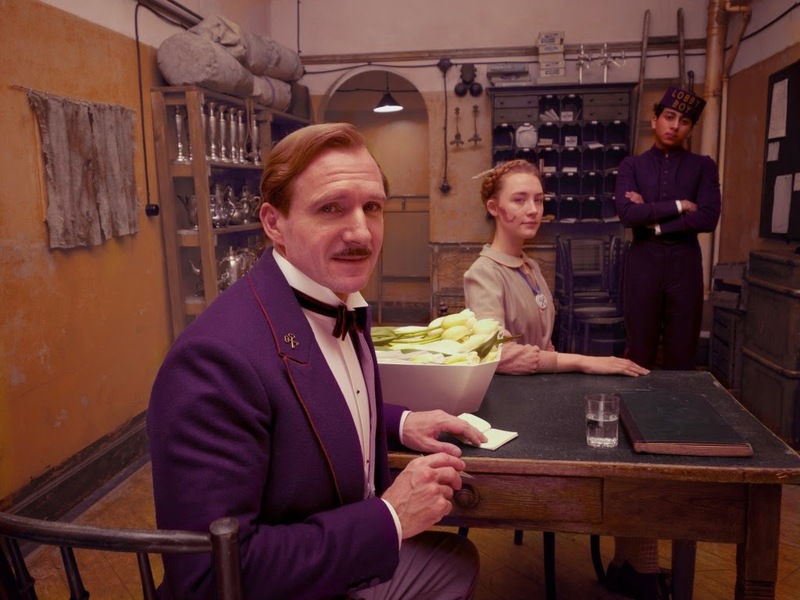 Tonight could also have been Scarlett Johansson and I certainly wouldn’t have said no to butchers at Scarlett but cinema scheduling means tonight it’s the Grand Budapest Hotel instead. We’re at Broadway for food and where the beer for once is too good for folk who have a sportive tomorrow. They have Nottingham Centurion and a Porter from Wentworth, a heavenly good choice if you haven't got a sportive tomorrow. The Grand Budapest Hotel opens with a young girl standing at a monument to a writer and reading a memoir penned by the ‘Author’. Presumably the same chap. 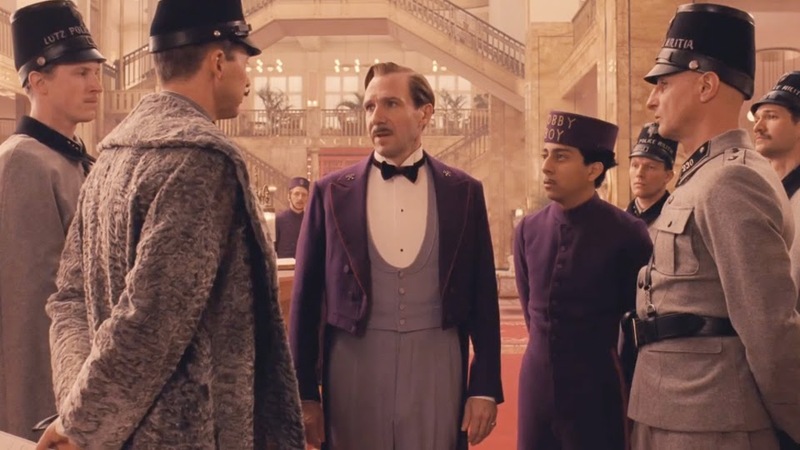 This author (Tom Wilkinson) recounts the story of when his younger self (Jude Law) visit the Grand Budapest Hotel, which had fallen on hard times, and met its then owner Zero Moustafa (F. Murray Abraham). Zero then tells his own story of how he came to own it and why he is unwilling to close it down. I hope you’re following? This film has flashbacks with knobs on them. It’s a film with an unusual approach to its story and it plays out a bit like a Dangermouse cartoon, heading off at tangent after tangent whilst within itself, somewhere, is the actual story. 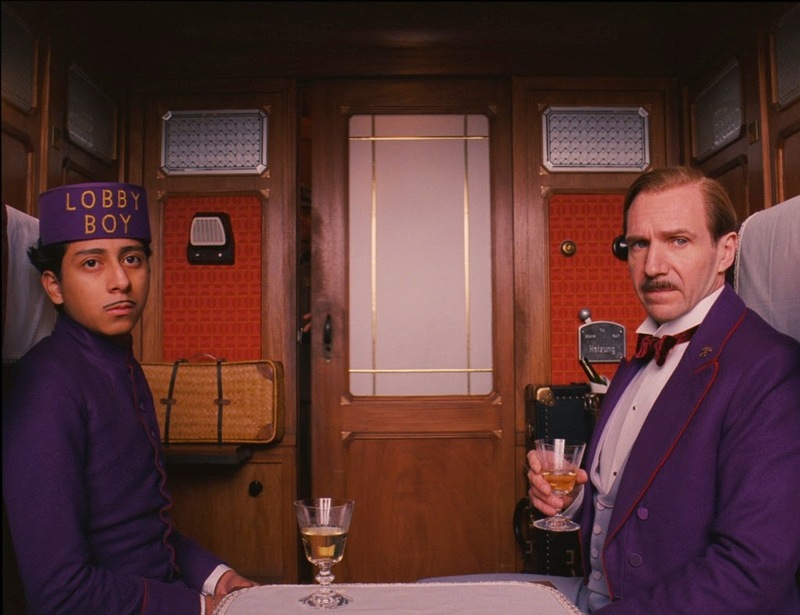 Back in the 1930's a younger Zero (Tony Revolori), a mere immigrant boy, worked as a lobby boy under the hotel's flamboyant concierge, M. Gustave (Ralph Fiennes). This is in the fictional Republic of Zubrowka, a place that is teetering on the brink of war under the weight of some Nazi lookalike thugs. Not that Gustave seems to notice. He is too busy as he wines, dines and beds a succession of rich, much older women who all love the hotel because of the exceptional personal service he gives. Sadly his latest conquest Madame D (Tilda Swinton) suddenly drops down dead. Yet in her will she leaves Gustav a priceless painting called ‘Boy with Apple’. Madame D's son Dmitri (Adrien Brody) doesn't take this well and Gustav finds himself framed for her murder. So he steals the painting and legs it. He makes a deal with Zero, naming him as his heir if he helps him. Then when Gustave is arrested and imprisoned, Zero and his girlie (Saorsie Ronan) combine to free him and things just get steadily more madcap from there onwards. We get Gustave and Zero being pursued by a hit man (Willem Defoe) on skis down the full Winter Olympic experience including downhill run, bobsleigh track and ski jump. Everything moves forward at breakneck speed in this film and if you’re not concentrating you’re going to miss something. Things are not even easy to follow if you do but even if you lose the plot, the film’s still full of weird and wonderful characters to enjoy. All of which are played by famous faces. It’s all quite ridiculous and you feel at times that writer/director/producer Wes Anderson may just be simply having at laugh at our expense but I enjoyed it thoroughly nonetheless.